Stunned by the imposing facade of incredible Rajasthan I keep traveling to this land time and again. Completely absorbed by the royalty of the palaces of this land of raja-maharajas I decided to visit the famous City Palace of Jaipur. I had heard a lot about the architectural beauty and mind blowing interior decoration of this imposing structure. Now was the time to see it for myself. 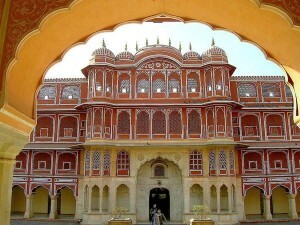 Popularly known as the Pink City, Jaipur is a wonderful tourist destination of India. 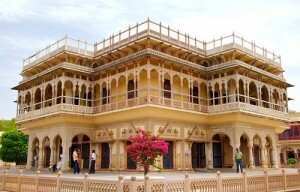 This capital city of Rajasthan is one of the most visited destinations of the country. 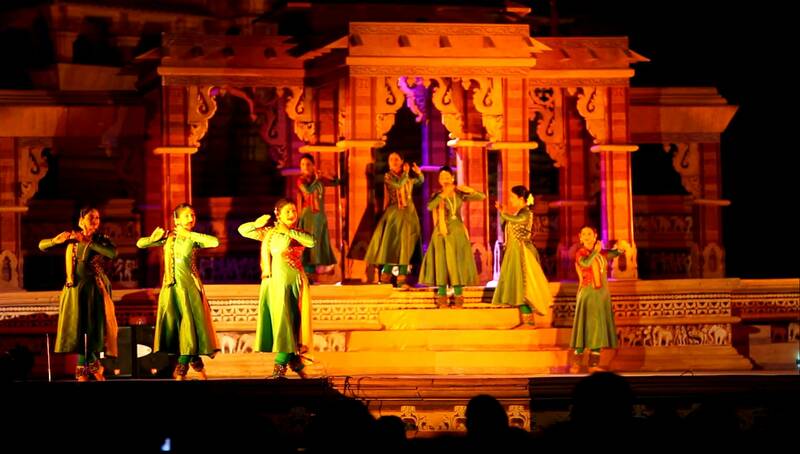 Its colorful culture and glorious history make it internationally renowned. 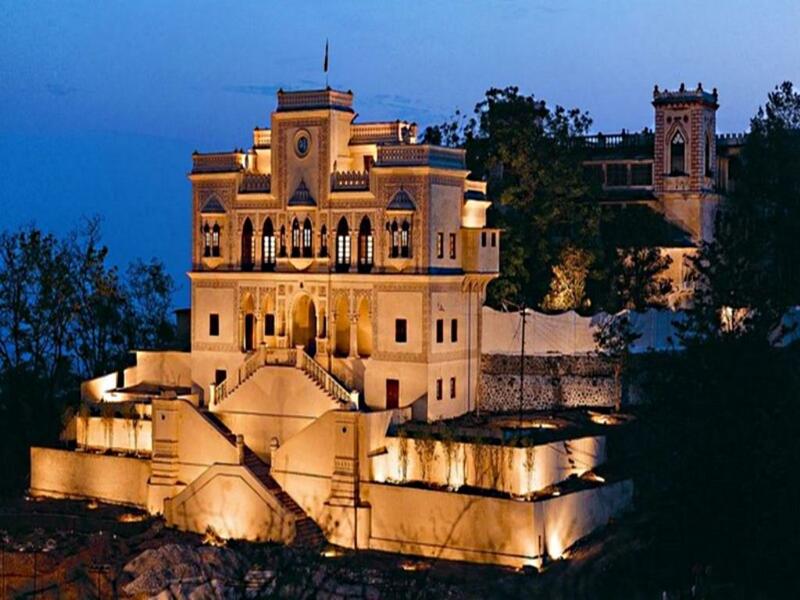 The City Palace is the most enchanting attraction of the city and is also a landmark of the city. Exploring the City Palace was a great experience. It is a perfect combination of Rajasthani and Mughal art and architecture built by Maharaja Jai Singh II. Several new structures were added to the palace by his subsequent generations. The palace complex encompasses several beautiful structures. The courtyards, gardens and structures of the Palace have their own unique charm. Nakkarkhana-ka-Darwaza is the fabulous gateway of the palace which is adorned with stone elephants. Once the abode of the erstwhile rulers, today the palace is a stunning museum. It is a treasure-trove of rare and beautiful attractions such as paintings, manuscripts, weapons and textiles. While exploring the attractions I came across two huge urns of silver, said to be the largest vessels in the world. As I moved inside the Mubarak Mahal in the palace complex I was astonished by the beautifully carved marble gate with heavy brass doors. The museum inside the Mubarak Mahal houses royal belongings, such as saris, chairs, overcoats and furry rugs, etc, of the erstwhile kings and queens. The robe of Raja Madho Singh was too huge and I think at least four people like me can easily fit into it. As I moved further I saw the Diwan-e-Khas or the Hall of Private audience and the Diwan-e-Am or the Hall of Public audience. Both of them were intricately decorated. The huge art gallery deserves special mention as there is a lot to see in it. It has amazing paintings, marble crafts and metal artifacts. I also saw the arresting Badal mahal and Chandra Mahal which have their own beauty. In fact every structure of the City Palace has its own beauty and charm. 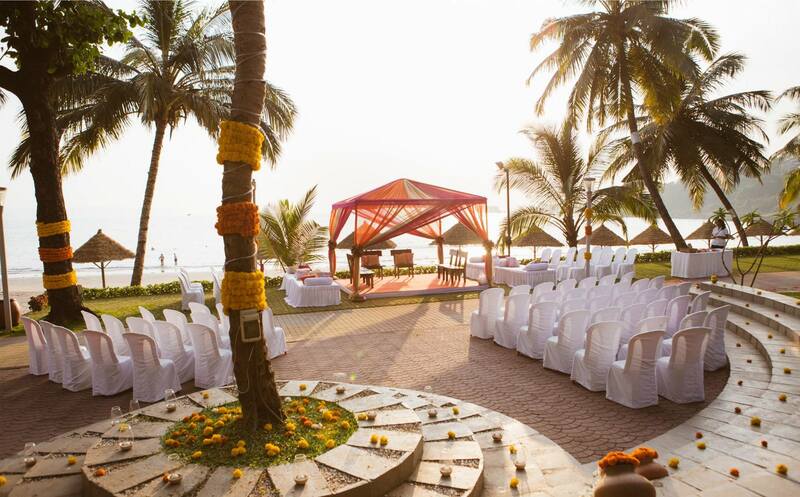 I was completely overwhelmed by its stunning architecture, royal aura, peaceful ambiance and traditional decorations.